Not everyone is fortunate enough to love the job they have. However, it is very feasible to learn to love your job and be a peace with where you are right now. Rediscover the beauty in it. Perhaps you just haven’t paid attention to the beauty of it. Maybe there is an opportunity in it that you have not explored. I often find myself, striving, looking and pursuing more stuff. Like right now I’m thinking that a trip to Italy would be perfect for me. But I am not in Italy. I look outside my window, though, and I see amazing simplicity. 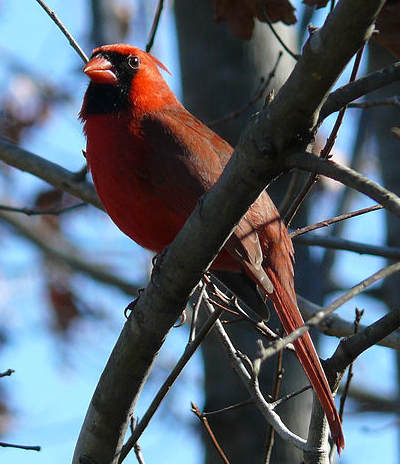 Trees, a warm sun, a beautiful sky, a cardinal, a gorgeous view of mossy rocks. Could this be my Italy. Could I be at peace with where I am right now. Today I will focus on being content and just enjoying what I have. Today is my day to rediscover the beauty of where I am. Oh look, there goes another cardinal! Fresh air. I am actually breathing in fresh air. How to convert between pH and concentrations. Aim: How to convert between pH and concentrations. Activity: Draw the pH scale. Notes: Sörenson defined pH as the negative logarithm of the hydrogen ion concentration. So let’s try a simple problem: The [H+] in a solution is measured to be 0.010 M. What is the pH? Which, of course, is 2.